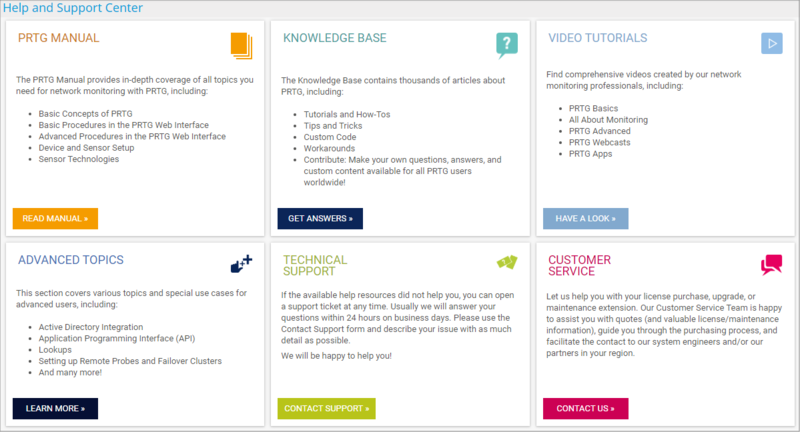 To access help and support information for your PRTG installation, select Setup | Help and Support Center from the main menu. The Help and Support Center of your PRTG installation is where you can access the PRTG user manual, the Knowledge Base, and video tutorials. You can also open support tickets and contact our customer service from this page.